Enriched with jojoba, cupuacu and macadamia butters, this Burts Bees hand cream will keep skin soft and pampered. The cream melts into the skin to moisturise without leaving hands feeling greasy and the grape seed and sunflower oils are antioxidant-rich and super nourishing. The added sweet and fragrant honey soothes and adds softness to the skin, and is an excellent natural moisturiser. To use: Massage Burt's Bees Honey & Grapeseed Oil Hand Cream into hands as often as needed. Burts Bees always use ingredients that are the best nature has to offer: beeswax, botanical and essential oils, herbs, flowers and minerals and don’t use any phthalates, parabens, petrolatum or SLS. 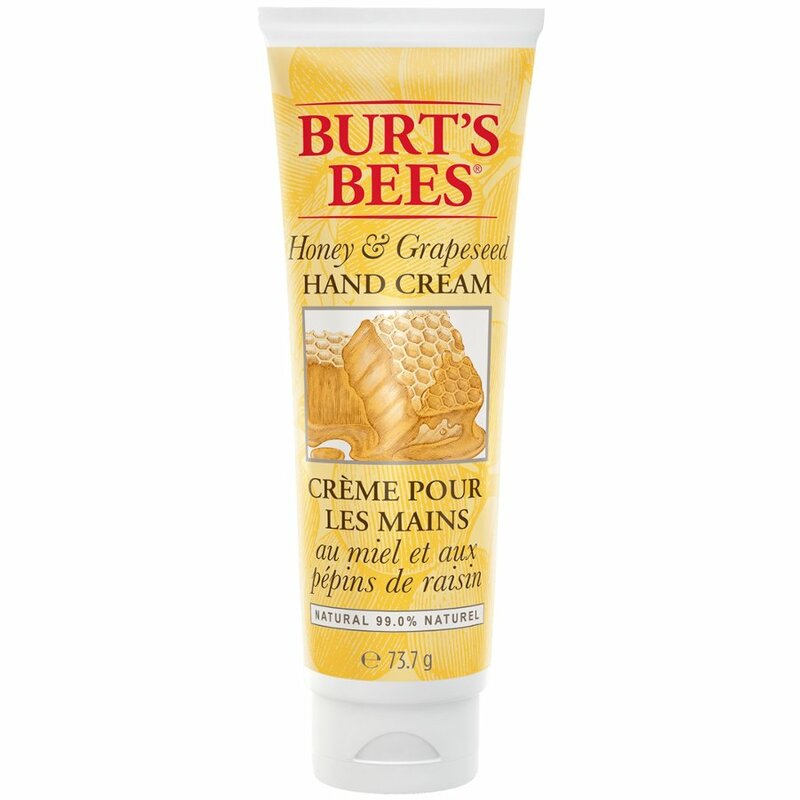 There are currently no questions to display about Burts Bees Hand Cream - Honey & Grapeseed - 74g.